The harvest of Hass avocados (“green gold”) in Mexico is expected to reach about 1.24 million tons for the 2010/11 season, a 6.4% increase over a year ago. The main producing state is Michoacán, which accounts for 92% of the national crop, earning it the unofficial title of “avocado capital of the world”. The domestic market will consume 806,000 metric tons (8.45% higher than last year), with the remaining 410,000 tons destined for export markets. Michoacán supplies 56.7% of the US market, well ahead of California (21.3%) and Chile (22%). 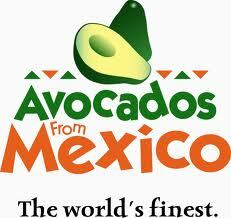 Mexico also exports avocados to Central America, Canada, Japan and Europe. Avocados are Mexico’s fifth most valuable agriculture-related export, after beer, tomatoes, tequila and bell peppers.